You are dirty beings that pollute the magical world, my world. When I say this, I believe I speak for all Purebloods: You don't belong, so please, kindly remove yourselves before I get to you and must forcefully eradicate you from this world. I'm sure you wouldn't want that to happen. To be honest, neither do I, because I don't have the time to waste on all of you. As much fun it would be for me to dispose of you, I have more important matters to attend to. With Harry and his meddling friends on my back, I need to make more Horcruxes, but I can't do that if I'm still on the search for the Elder Wand. See? We're all busy. If you do your part, then we'll all be much happier people. I don't know how you managed to steal magic from a witch or wizard, and how their wands works for you, but you, simply put, are an abomination. You give us magical-folk a bad name. Your filthy selves are somehow infiltrating the Pureblood domain. My blood status interrogations will help identify those who belong and those who don't. 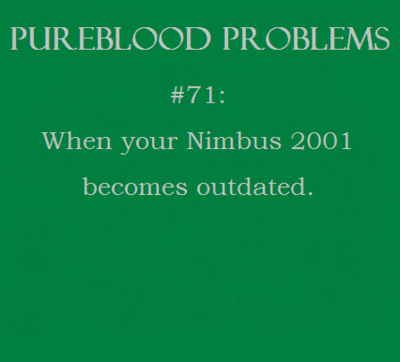 I'm not sure if you know, but only Purebloods are allowed at Hogwarts now. Sorry (not really). Muggle-borns just don't deserve to know magic like we Purebloods do. You have not done anything to be worthy of our magic, nor of the knowledge that we possess. Your meager minds cannot manage the degree of power that our minds can. P.S. The sooner the better. Again, for both of us.